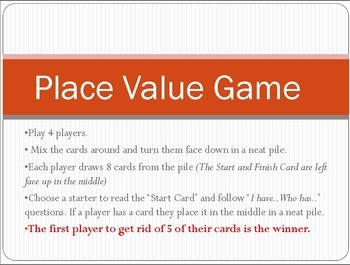 This game focuses on place value and understanding the language of less and more. 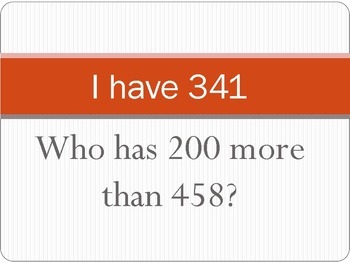 For example, "who has 20 more than 567?" 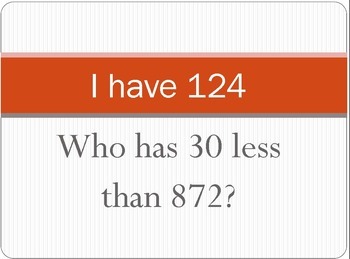 The game is in "I have who has" format.